Herbs for diabetes include herbs that help regulate insulin levels as well as herbs to use instead of sugar. Ayurveda, a system of herbal medicine dating back centuries in India, uses many herbs for diabetes. The most commonly used herb is Gymnema (Gymnema sylvestre). This herb has two different properties to help diabetics. First, it stimulates the pancreas. This helps the pancreas produce more insulin. When you chew the leaves of gymnema or place some powdered herbs on the tongue, it blocks the taste buds that help you sense sweetness. This can help you stop eating sweets or craving sweets to better control your diet. Fenugreek is another ancient herb used to treat diabetes. It's used not just as herbal medicine but also as spice for cooking. Fenugreek can reduce high insulin levels, lower blood glucose levels, and help improve cholesterol. If you want to try fenugreek to help your diabetes, you should consult with an herbalist, since the dose depends on many factors. Grapeseed or grape seed extract provides many heart-healthy benefits, but it also helps regular blood sugar levels. Several laboratory studies suggest that the tiny seeds of the common grape can help diabetics regulate their blood sugar levels. 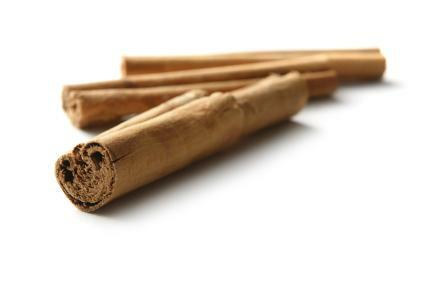 The latest herb shown to help Type II diabetics is cinnamon. According to published reports in Diabetes Health, cinnamon may help the cells in muscle tissue and other cells receptive to insulin become more sensitive to insulin. You can easily add more cinnamon to the diet by simply adding a teaspoon of powdered cinnamon to your breakfast oatmeal or smoothie. A discussion of herbs for diabetics wouldn't be complete without mentioning stevia. Stevia provides a healthy, herbal alternative to artificial sweeteners for diabetics. Leaves of the stevia plant are dried, crushed, and formed into powder or tablets that can be added to coffee, tea or other beverages or foods. The flavor is similar to sugar but can have a licorice-like taste if you use a large amount. Stevia is considered a safe herb, and can be used in most foods and beverages in place of sugar. Go easy the first time you use it and adjust the amount according to your taste. Because diabetes is such a serious condition, it is highly recommended that you speak with an herbalist before selecting herbs. Schedule an appointment and share your medical information with the herbalist. While herbalists cannot diagnose disease, they can work hand in hand with your medical doctor to help you select herbs to improve your body's ability to use insulin. Some herbalists also have certification as dieticians or are registered nutritionists, and such a combination of skills, credentials and experience are invaluable to the diabetic. While most of the herbs recommended here are safe, you must continue to follow your doctor's advice for your own condition. Do not stop taking your diabetes medication unless advised to do so by your doctor.